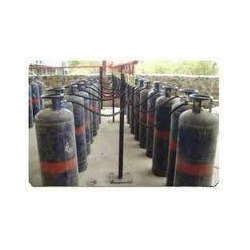 We are a leading Supplier & Manufacturer of LPG Gas Storage System Services such as Liquefied Petroleum Gas Storage Tank, LPG Fuel Tank, Bullet Tank Installation, Lot Installation, Vot Installation, Vapor Off Take System and many more items from India. 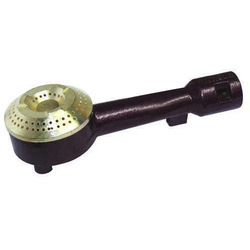 We are engaged in offering our valuable clients Brass LPG Burner. We specialize in offering our range of this product in varied specifications and dimensions, with the aim to cope up with the varied requirements of our clients. Keeping in mind ever-evolving requirements of our respected clients, we are offering a premium quality range of LPG Pipe. 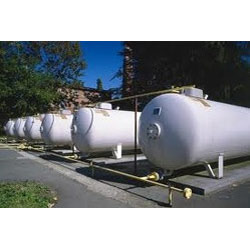 We are manufacturer of tanks and vessels required for storage and transportation tanks of various liquids and gases like LPG, Propane, propylene, ammonia, liquid carbondioxide, chlorine , hydrogen, nitrogen, oxygen, argon, sulphur dioxide, butadine, ethylene oxide and other gases , in a wide range of various capacities for use in domestic, industrial and transportation sectors. The manufacturing of these tanks requires special expertise , technology and strict quality control measures. These tanks are manufactured confirming to various design standards. 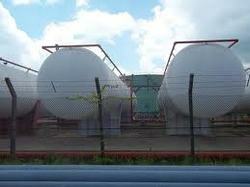 We are involved in making liquefied petroleum gas storage tank also. 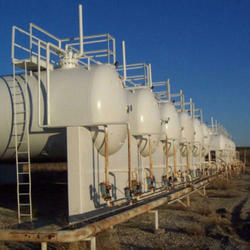 We are providing proper solution for the lpg gas storage system. We are providing proper set up solution for the Bullet tank, and also provide final Installation of these type of tanks..